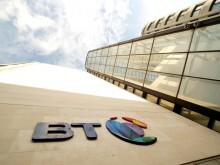 BT today announced the launch of "BT Assure Ethical Hacking for Vehicles", a new security service developed to test the exposure of connected vehicles to cyber-attacks and help all market players develop security solutions. Connected vehicles -which can be passenger cars as well as trucks, buses, bulldozers or any other type of commercial vehicle - rely on a variety of connectivity options, including WiFi, 3G or 4G mobile data links, Bluetooth and other wireless technologies. These provide a range of new on-board features and value-added services, such as predictive systems to bypass traffic jams, reduce carbon emissions, improve safety and vehicle performance. Vehicles are also becoming more connected through electronic systems like navigation, infotainment, and safety monitoring tools. The proliferation of these technologies raises concerns about the ability of hackers to gain access and control to the essential functions and features of those vehicles and for others to use information on drivers' habits for commercial purposes without the drivers' knowledge or consent. As with all other devices plugged into the "Internet of Things", security and integrity of data is of critical importance to prevent unauthorised access or remote hijacking of a vehicle. BT has a strong, award-winning, global team of security specialists, including "ethical hackers", who provide a standardised method to test systems by imitating hacker attacks, reporting possible vulnerabilities and providing recommendations. BT is now extending that expertise to advise vehicle manufacturers, insurance companies and other players in the automotive industry, with the aim of identifying and fixing vulnerabilities before the keys of a new vehicle are handed to a proud owner. To ensure the car remains safe throughout its lifetime, BT will also offer ongoing support to maintain security against new and evolving threats. BT Assure Ethical Hacking for Vehicles includes a range of tests targeted at the "attack surfaces" of the vehicle. These cover interfaces that are accessible inside the car, such as Bluetooth links, USB ports, or the DVD drive, as well as external connections such as links to mobile networks or power plugs. BT looks at the end-to-end security by testing and verifying all the systems that interact with the connected vehicle. The ultimate objective is to identify vulnerabilities that would allow unauthorized alteration of configuration settings or that would introduce malware into the car. These remote systems can include the laptops of maintenance engineers, infotainment providers, and other supporting systems. Udo Steininger, Head of Assisted and Automated Driving at TV SD, said, "In a few years' time, the majority of vehicles that are produced will be connected to the Internet or other networks, either for navigation, maintenance, cooperative driving or entertainment purposes, and the driver will expect the same usability he is used to from his smartphone. This bears complex challenges for the automotive industry, as cars are equipped with a number of embedded systems that have not been designed to be connected to the outside world. The industry needs to join forces, including with suppliers, IT security specialists and certification bodies, to agree on a common approach to interfaces and security standards for the Connected Car." Hubertus von Roenne, Vice President Global Industry Practices at BT Global Services, said, "Vehicles are now connected devices, confronting manufacturers and suppliers with a whole new world of security challenges. For example, we have seen cars infected with malware while connected to a power charging station -because nobody had expected this would be possible. We use the expertise and knowledge of our Ethical Hacking consultants to identify these vulnerabilities -before others do. BT has decades of experience in securing connected devices and embedded systems across various industries and we are very proud to now offer that experience to the automotive industry." BT Security is building on 70 years' experience of helping organisations around the globe and across all sectors get ahead of the threat curve and reduce the uncertainty and complexity of security. We provide an end-to-end capability to help organisations enjoy higher levels of security at a time when security budgets are not keeping pace with the threat landscape.